Sign up for the Charity Challenge! The Calgary Marathon has many different categories from 5km to Ultra, and it’s a great way for people to meet their fitness goals or just have fun together! 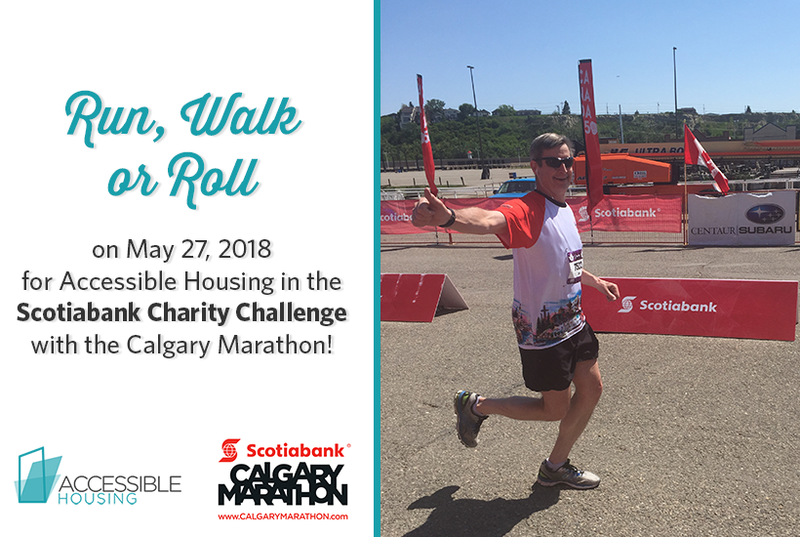 Help us reach our goal of $10,000 – all funds will help open doors to homes that are accessible and affordable for Calgarians with limited mobility. Make a direct donation to Accessible Housing and help us reach our fundraising goal of $10,000! Why join the Charity Challenge? Here are 8 Awesome Reasons You’ll Want to Join. If you have any questions about getting involved with the Charity Challenge, please contact us.